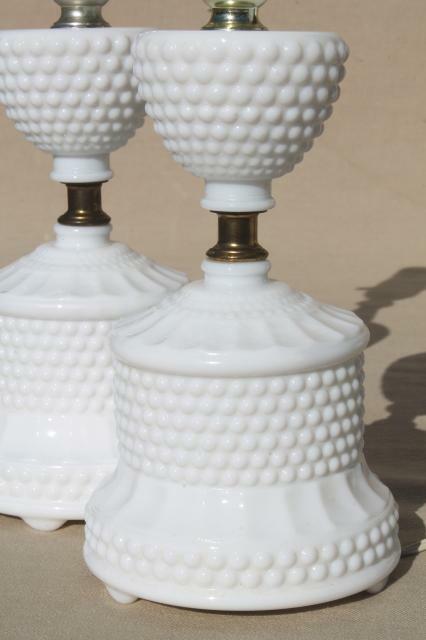 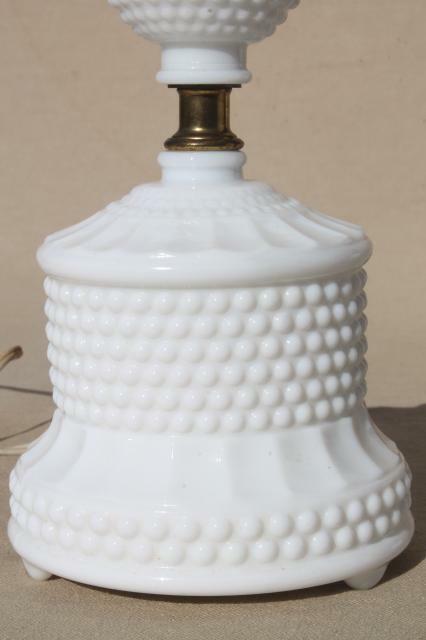 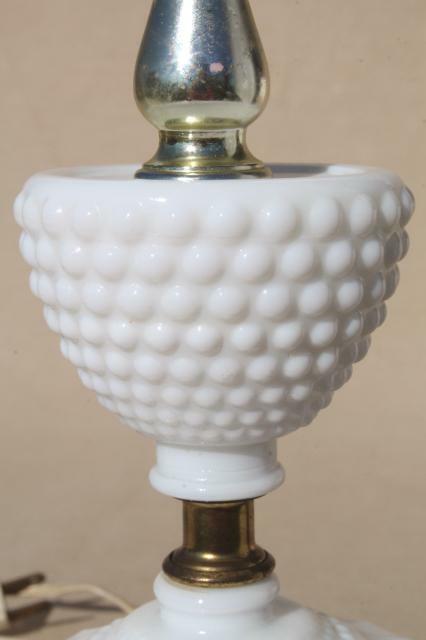 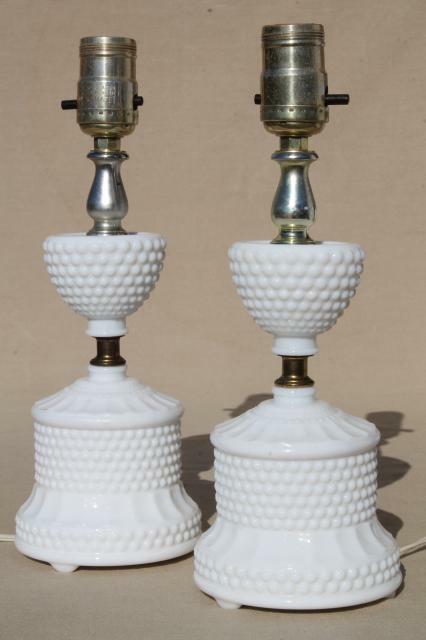 Pair of 1950s vintage dresser lamps, hobnail milk glass with all original wiring. 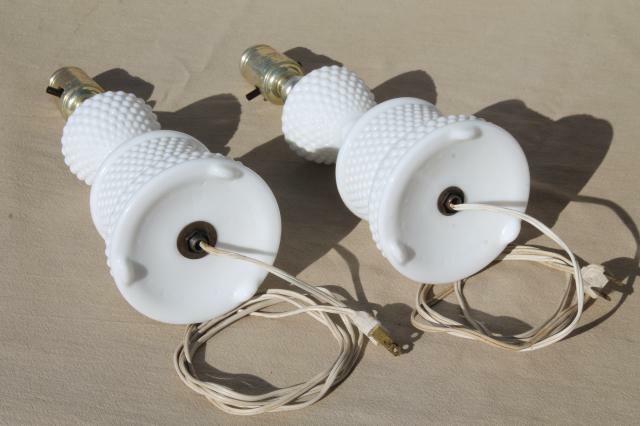 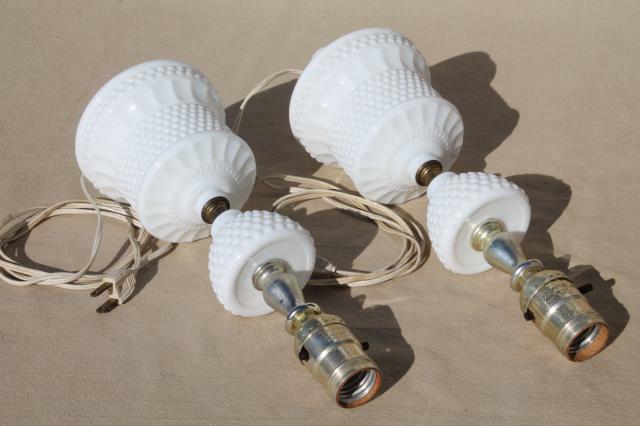 These are about 12" tall to the top of the light bulb sockets and are designed to hold standard socket bulbs with clip-on lampshades (shades not included). 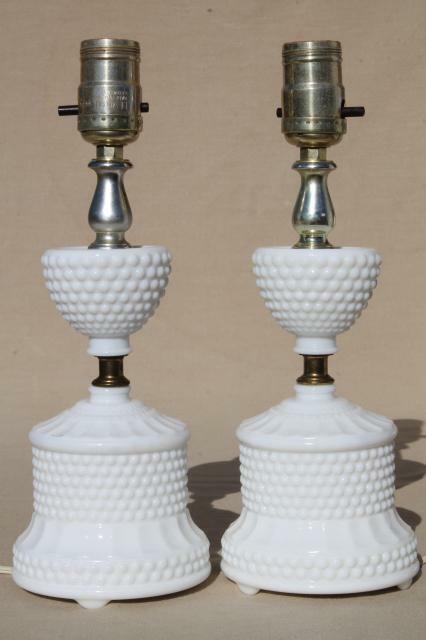 Both of these lamps are in very good condition, just a little finish wear to the metal fittings, glass all looks excellent. 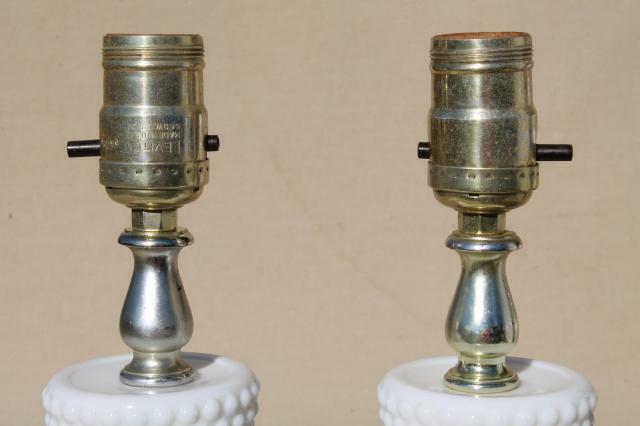 Both are working.